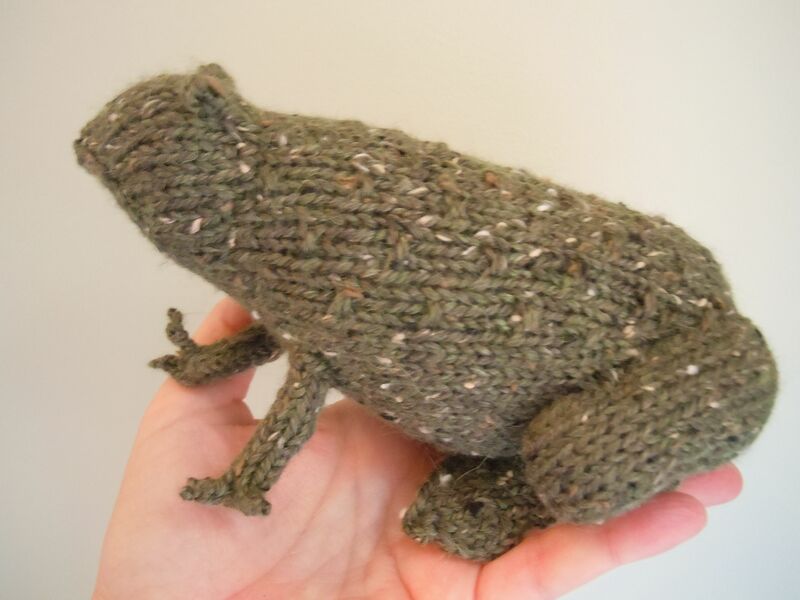 Sizes Included: 7" x 3"
From their bumpy backs to their knobby toes, Tweed Toads look real and knit up quickly with worsted weight yarn. The head and body are one piece which is knit in the round, and the legs are also knit in the round and then seamed to the body. 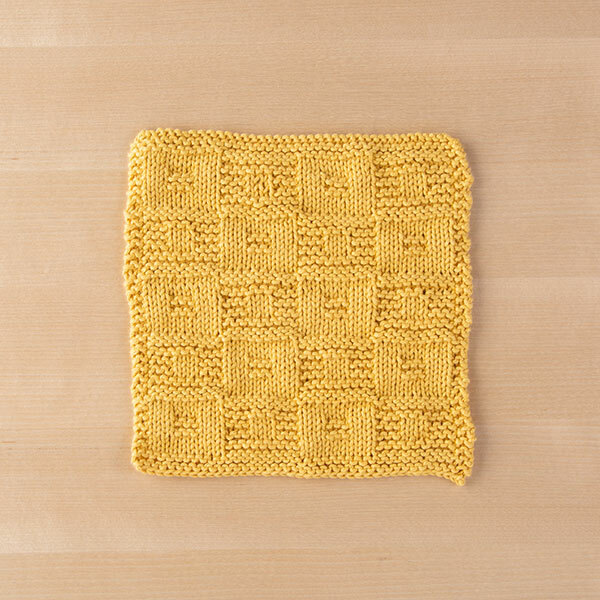 This pattern is much easier than it looks! 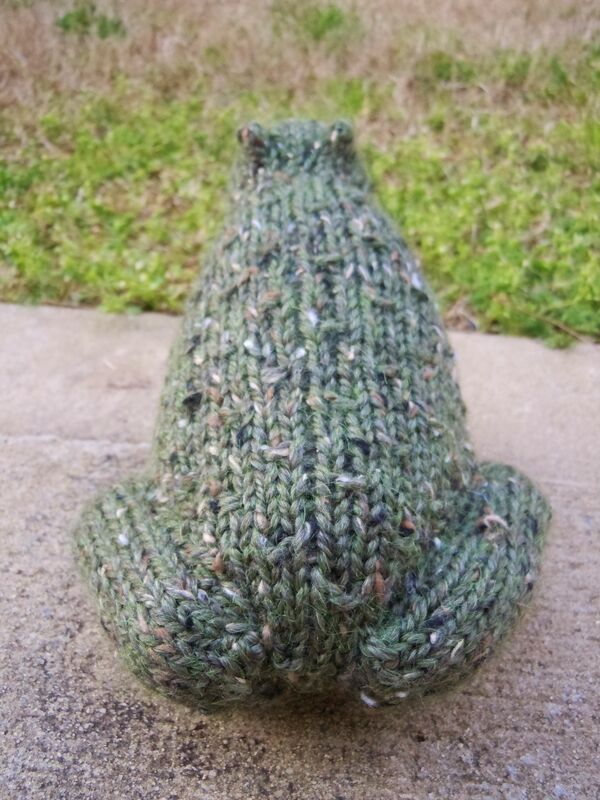 A photo tutorial to help you know how to attach the back legs is available on my blog at Rabbit Hole Knits. Like this pattern? 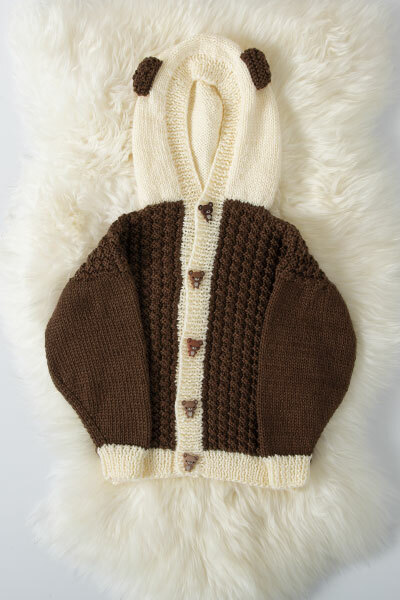 Check out the rest of Sara's patterns here: Rabbit Hole Knits. 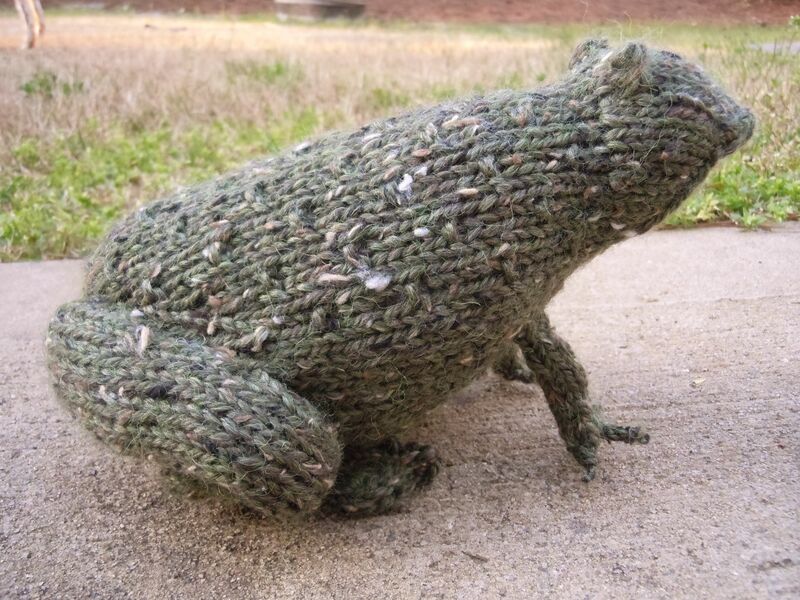 Made this for my brothers birthday and called him an old toad. The pattern is written wonderfully, easy to follow and the end result is perfect.